Hey all! Hope you're weekend has been great. Pretty good here. The weather has been cooler. We did some work outside this morning, then played hooky this afternoon and took our classic car for a spin to a local winery! Perfect day!! I did make a card last night I want to share. Found a color challenge that I knew would let me use some new colors! Actually, one new, one current in color, and one returning color! And I used a set I've had for awhile, but never inked. Here is my card. 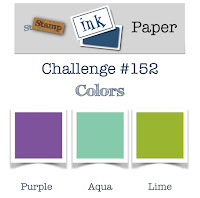 I found the challenge shown below over at Stamp Ink Paper. 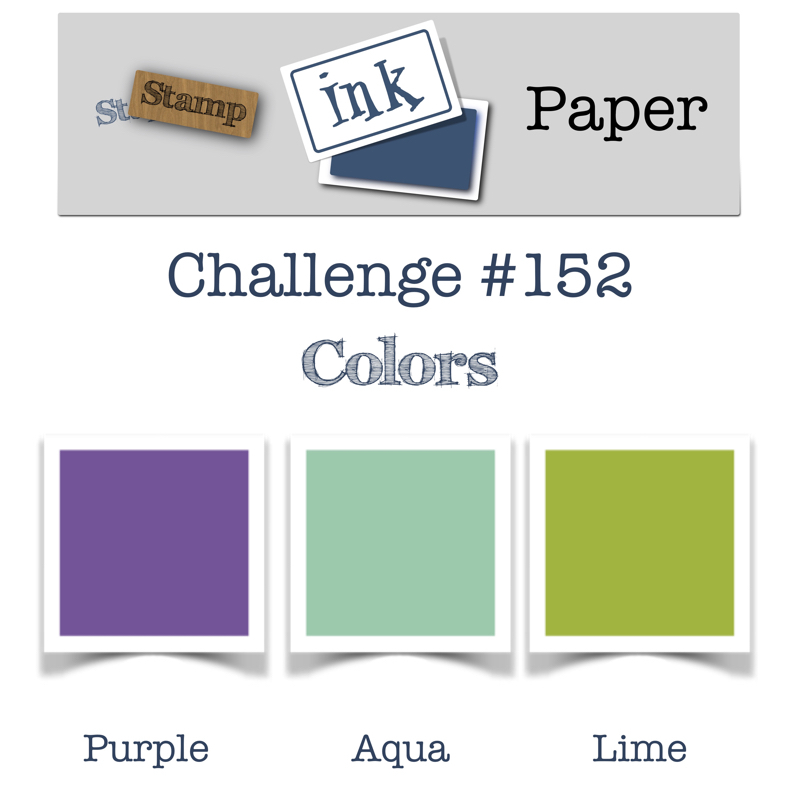 Their purple, aqua and lime equates to our NEW Gorgeous Grape, returning Coastal Cabana and In Color Lemon Lime Twist. I pulled out Balloon Celebrations and went to work. 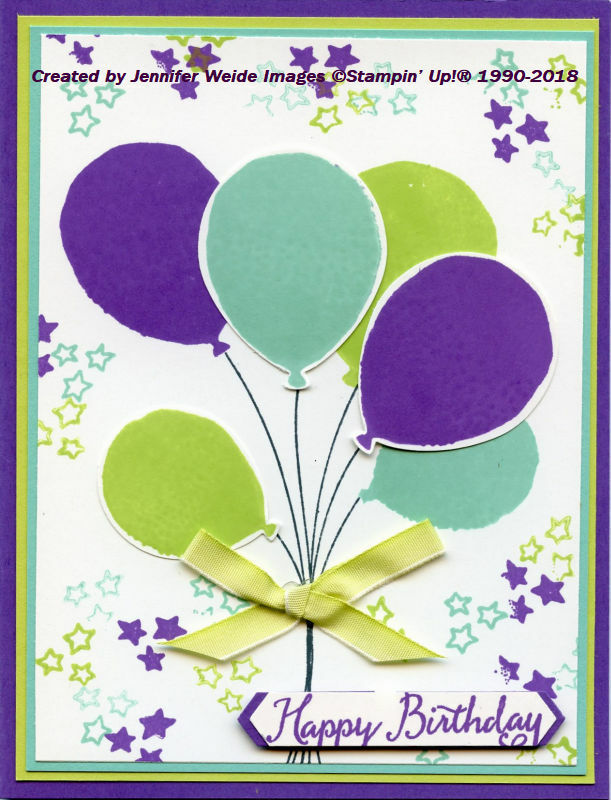 I stamped the strings in Memento Black, then added 3 balloons stamped directly, and then stamped 3 more on a separate sheet and punched with the coordinating punch. I layered those over the stamped ones. It seemed too white so I added some random stars in the same colors. The ribbon is the Lemon Lime Twist Ombre. The saying is punched with the Classic Label and attached with Mini Dimensionals. Thanks for stopping by! LMK if you have any questions or need any info on the NEW Catalog! Product details and links below!! How cute! Those bright colors are perfect for a fun balloon bouquet. Thanks for joining us at Stamp Ink Paper, hope to see you again soon!